Potential effects of the Big Five personality traits of openness, conscientiousness, emotional stability, agreeableness and extraversion on academic Knowledge Acquisition activities and productivity were investigated in this study by utilising a large sample of academics from a Malaysian Public University. It contributes theoretically and empirically by demonstrating several effects of the Big Five on academic outcomes related to Knowledge Acquisition activities. The study also has practical significance based on its implications for university faculty members, providing suggestions for better understanding of how they might increase their success at Knowledge Acquisition activities. A quantitative method was used, resulting in useable data from N = 985 respondents. Following descriptive analysis, hypotheses testing were conducted using a structural equation modelling approach. When all five personality traits were considered together, only openness, extraversion and agreeableness significantly predicted KA. Further recommendations were made for this study by adding different theory such as Theory of Planned Behaviour, motivation or user satisfaction components relationships for expanding further research. A. S. Cui, D. A. Griffith and S. T. Cavusgil, “The Influence of Competitive Intensity and Market Dynamism on Knowledge Management Capabilities of MNC Subsidiaries,” Journal of International Marketing, Vol. 13, No. 3, 2005, pp. 32-53. Agnieszka, T. K. (2013). Big Five Personality Traits Model in Electoral Behaviour Studies. Avey, James B.; Reichard, Rebecca J.; Luthans, Fred; and Mhatre, Ketan H., "Meta-Analysis of the Impact of Positive Psychological. Capital on Employee Attitudes, Behaviors, and Performance" (2011). Management Department Faculty Publications. Paper 140. Barry, B., & Stewart, G. (1997). Composition, process, and performance in self-managed groups: The role of personality. Journal of Applied Psychology, 82, 62-78. Bleidorn, W. (2012). Hitting the road to adulthood: Short-term personality development during a major life transition. Personality and Social Psychology. Bulletin, 38, 1594–1608. Briley, D. A., & Tucker-Drob, E. M. (2014). Genetic and environmental continuity in personality development: A meta-analysis. Psychological Bulletin, 140(5), 1303-1331. Clark, M. A., Lelchook, A. M., & Taylor, M. L. (January 01, 2010). Beyond the Big Five: How narcissism, perfectionism, and dispositional affect relate to workaholism. Personality and Individual Differences, 48, 7, 786-791. Cohen, W. M. and D. A. Levinthal (1990). "Absorptive Capacity: A New Perspective on Learning and Innovation." Administrative Science Quarterly 35(1): 128-152. Costa, P.T., Jr., McCrae, R.R. (1992). Revised NEO Personality Inventory (NEO-PI-R) and NEO Five-Factor Inventory (NEO-FFI) manual. Odessa, FL: Psychological Assessment Resources. Dahlen, E. R., & White, R. P. (October 01, 2006). The Big Five factors, sensation seeking, and driving anger in the prediction of unsafe driving. Personality and Individual Differences, 41, 5, 903-915. Darviri, S. V., & Woods, S. A. (January 01, 2006). Uncertified absence from work and the Big Five: An examination of absence records and future absence intentions. Personality and Individual Differences, 41, 2, 359-369. De Fruyt, F., Bartels, M., Van Leeuwen, K. G., De Clercq, B., Decuyper, M., & Mervielde, I. (2006). Five types of personality continuity in childhood and adolescence. Journal of Personality and Social Psychology, 91, 538–552. DeYoung, C. G., Weisberg, Y. J., Quilty, L. C., & Peterson, J. B. (October 01, 2013). Unifying the Aspects of the Big Five, the Interpersonal Circumplex, and Trait Affiliation: Big Five and IPC. Journal of Personality, 81, 5, 465-475. Erdle, S., & Aghababaei, N. (August 01, 2012). Evidence for the general factor of personality (GFP) in the Big Five from 600 Iranians. Personality and Individual Differences, 53, 3, 359-361. Judge, T. A., Higgins, C. A., Thoresen, C. J., & Barrick, M. R. (January 01, 1999). The Big Five Personality Traits General Mental Ability Career Success Across the Life Span. Personnel Psychology, 52, 3, 621. Klimstra, T. A., Bleidorn, W., Asendorpf, J. B., van Aken, M. A. G., & Denissen, J. J. A. (2013). Correlated change of Big Five personality traits across the lifespan: A search for determinants. Journal of Research in Personality, 47, 768–777. Löckenhoff, C. E., Terracciano, A., Patriciu, N. S., Eaton, W. W., & Costa, P. T. Jr., (2009). Self-reported extremely adverse life events and longitudinal changes in Five-Factor Model personality traits in an urban sample. Journal of Traumatic Stress, 22, 53–59. McCrae, R. R., & Costa, P. T., Jr. (2003). Personality in adulthood: AFive-Factor Theory perspective (2nd. ed.). New York: Guilford Press. Mount, M. K., Barrick, M. R., & Stewart, G. L. (1998). Five-factor model of personality and performance in jobs involving interpersonal interactions. Human Performance, 11, 145–165. Phares, E. J. (1991). Introduction to psychology. (3rd. ed.) New York: Harper Collins Publishers. Rogers, E.W. (2000). Cooperative knowledge behavior in high tech organizations: examining the relationship between employee perceptions of the employment game, cooperative knowledge and firm performance. Rothstein, M. G., Paunonen, S. V., Rush, J. C., & King, G. A. (1994). Personality and cognitive ability predictors of performance in graduate business school. 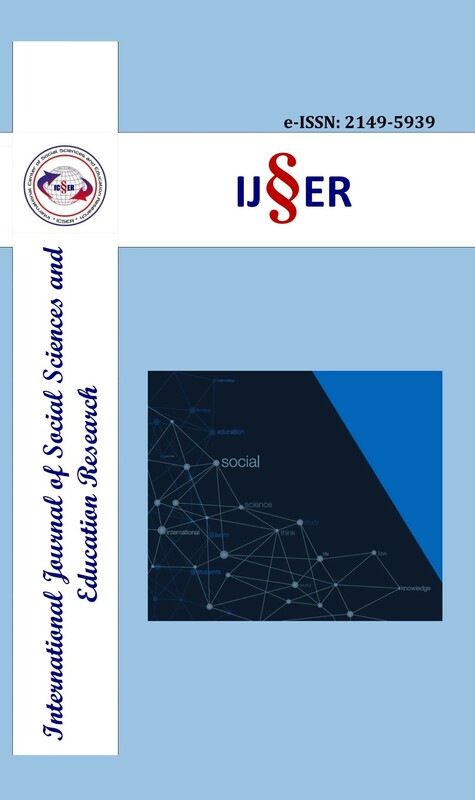 Journal of Educational Psychology, 86(4), 516-530. Witt, L. A., Burke, L. A., Barrick, M. R., & Mount, M. K. (2002). The interactive effects of conscientiousness and agreeableness on job performance. Journal of Applied Psychology, 87(1), 164–169. Zahra, S. A., & George, G. (January 01, 2002). Absorptive Capacity: A Review, Reconceptualization, and Extension. Academy of Management Review, 27, 185-203.